Groucho Marx once joked, “I don't want to belong to any club that will accept me as a member." 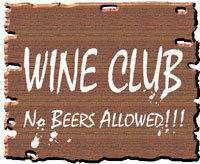 But even the famous mustachioed comedian would likely have joined one of the many wine clubs available today. Most of us are familiar with these clubs. Typically, they are operated by wineries and allow members early access to new releases, exclusive entrée to limited production wines, and discounts on “library” bottles. Wine clubs are plentiful from Napa and Sonoma wineries including Clos du Val and Kunde, to Sunset Magazine, which includes food pairing tips with its shipments, and even the Carnival Cruise Lines, which offers selections from its enophile president. These memberships are offered at a variety of price points, much like coach, business and first class airfares, and even private jet levels. While the generically named and budget-oriented Wine of the Month Club offers $20 shipments, the initial membership to the Napa Valley Reserve will set you back a whopping $150,000. 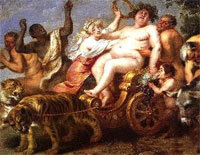 Offering a winning compromise between quality and price, Signorello’s Bacchus Society gives members two choices within its Platinum membership: the regular quarterly shipment of one red and one white wine, or a “reds only” policy, both hovering around the $100 mark for each shipment. Membership is limited to 300, according to Bruce Donsker, Director of Marketing, who, before he moved to Napa Valley and joined the industry, belonged to a handful of clubs from other wineries. 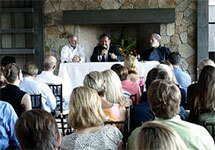 What makes Signorello’s club unique beyond its wines, says Donsker, is the way it takes advantage of the winery’s location: an idyllic setting perched on a hill on the south side of the Silverado Trail, overlooking the rest of the Valley. The picturesque patio is reserved for club members who can bring their own picnics to enjoy the scenery and complimentary tasting. It is also the site of the annual Lobster Feast, a party with live crustaceans flown in from Maine, held exclusively for club members. With their exclusive access to limited production wines, club members snap up most of the two barrels available annually of Hope’s Cuvée, a delicious white wine, and they also enjoy a 15 percent discount off all Signorello wines. 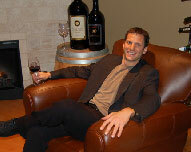 Ray Signorello, Jr. has another club, known as the California Cult Classics Club in Vancouver, British Columbia, and Purvine Wines in the United States. It resembles a fractional ownership approach to wine: Members pay $500 to join and $500 in annual fees, plus $9,000 for a barrel of juice from the Napa Valley. They can participate in as much or as little as they desire in the winemaking process—doing pump-overs, choosing the type of oak for their barrel, even the degree of char—all done in a state of the art winery. For this $10,000 investment, members will end up with 24 cases (288 bottles) of premium Napa cabernet at about $30 per bottle. Signorello already has facilities up and running in Vancouver and Phoenix, and he’s looking to expand to Los Angeles and beyond in the near future.